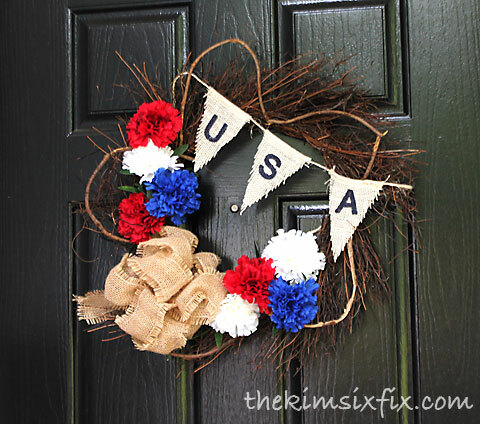 Hard to believe this weekend is the Fourth of July! 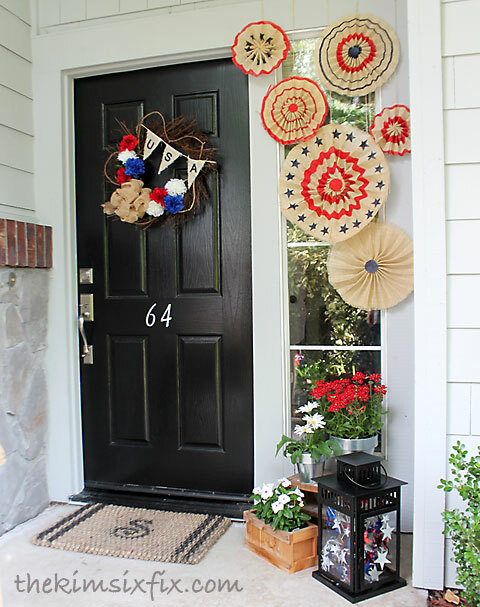 I wanted to quickly show you how my front door looks this year, in honor of the red, white and blue. 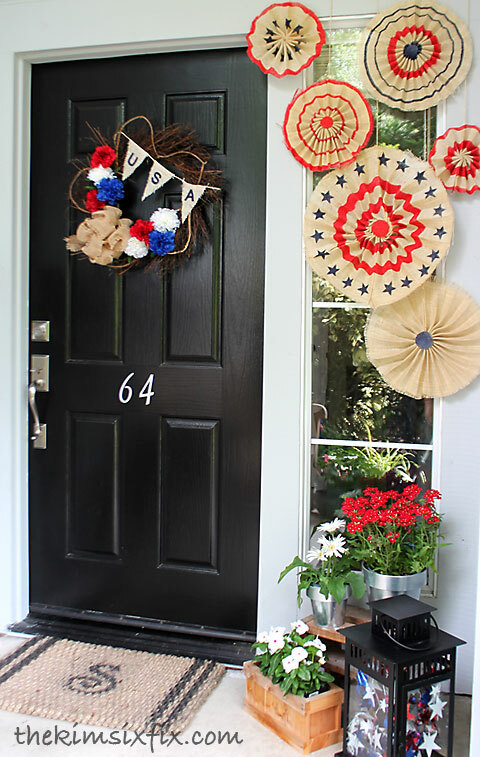 My burlap stars have been a huge hit on Pinterest, and so I decided I would feature them along the front sidelight window. I actually decided to make a couple more, since I wanted an odd number. Here is the full tutorial on how I made them. Lastly, I filled an Ikea lantern with some old wired star garland I had in my craft supplies and added some red and white flowers. 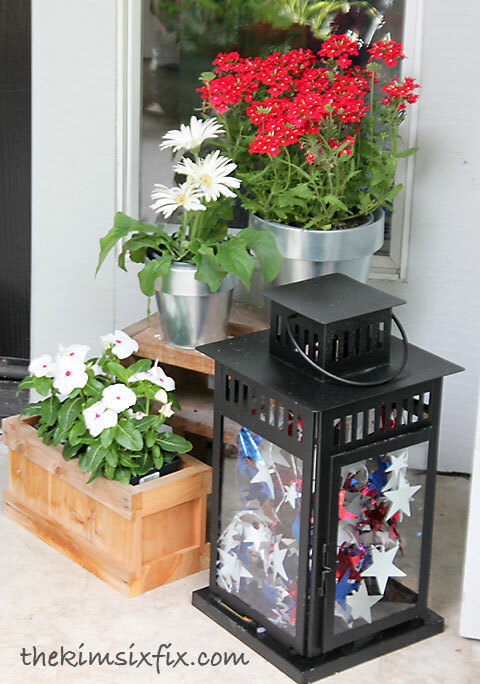 It is definitely a festive entrance to the house and the neighbors know we celebrate Independance Day! So, are you ready for the big holiday weekend? Any big plans? Uh la la!! Hey Kim, First of all, let me tell you, I LOVE your new light and bright blog design, beautiful! 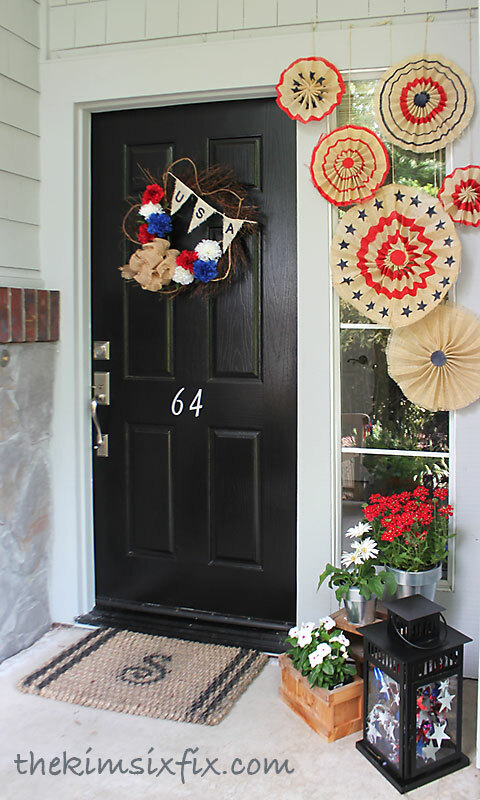 I see you've also been busy with your patriotic decor, the front door looks great and ready to celebrate! I'm going to check the burlap stars, yeah, they are cute!